For the past week, I was in Provo, Utah, visiting my daughter. Ashley is currently attending BYU and majoring in dance. Last week, she had her Dancensamble concert. Not only did she dance, but she also had a piece in the concert that she had coreographed. She also had the privilege of dancing with the Martha Graham Dancers. What a wonderful experience. Ashley has a lot going on right now, as she is getting ready to graduate AND get married. Both in June. While I was there, we took LOTS and LOTS of engagement pictures. I guess you could call this a DIY (Do It Yourself) Wedding. So many spend way too much money on weddings. Personally, I would rather have the cash then to spend it on so much hoopla. My daughter actually said that it would be much easier to just elope, but I told her you have to have a little hoopla, and so she put me in charge. I've been gathering info and run it by her before I do anything. So far, I have made her jewelry, taken their engagement pictures, and am working on flowers (I've already made the center pieces and bouquets, just working on boutonnieres and corsages). I am currently trying to figure out what to do about food for the reception. I know Jeremy likes cookies, so for the groom's "cake" we are making cookies...lots and lots of different types of cookies. The wedding cake will be cheesecake (probably from Sams--Cheesecake Factory Cheesecake). By the way if you want to see more of their engagement pictures, and some of my other pictures, visit my photography facebook--Jeanette's Photography. I know this week is going to go by sooooo fast. You see, I am getting ready to head to Utah to visit with my daughter. August of 2008, we took our little girl out to BYU. This summer she will be graduating in Dance. Where did the time go? I've been wanting to go out to visit, but needed to make sure I went at the right time. This week is the perfect week, as she will be dancing with her group. I will be able to see her dance Friday night, and twice on Saturday, with BYU's Dancensamble, and Tuesday with Martha Graham dancers. I haven't been able to see her dance in person for several years, so I am pretty excited about this. Also, so many, many years ago, I was a dance major at BYU. It will be fun going to some of her classes to see how things have changed, and maybe see some of my old instructors. Sure they won't remember me, but I do remember some of them that are still there. Well, lots of stuff to do to get ready to leave Thursday. Don't know if I'll be blogging til I get back, but know I will have plenty of pictures and things to blog about when I do. Last night when everyone was coming in to have opening exercises for our church youth activity, a couple of girls came in with a whole mess of Mardi Gras beads to give away. The day before, their family had gone down to New Orleans for Mardi Gras. They had gobs and gobs of beads and so wanted to share some. Yesterda y was Ash Wednesday. The day before, Fat Tuesday, or Mardi Gras. Actually, Mardi Gras season lasts from January until lint starts. Ash Wednesday is the beginning of Lint, and Fat Tuesday is the end of Mardi Gras season. Mardi Gras literally means Fat Tuesday. During the Mardi Gras season, there is a lot of partying, including floats and King Cakes. I live in northern Louisiana, and we have one Saturday during the season where they close down one of the main roads and have a big parade. People from all over gather, some even spend the night before in campers so they can get a good place to see the floats. Beads, cups, footballs, etc. are thrown from the floats. Even though this is a big deal here in Monroe, It doesn't hold a candle to what goes on down in New Orleans (NOLA). NOLA is the Mardi Gras capital, and during the season, floats are seen everyday. Green, gold and purple are the Mardi Gras colors. If you want to learn the history of Mardi Gras, go here. If you want to learn about the King Cake and get a recipe, go here. During the Christmas holidays, my daughter was in town. Her and her boyfriend were talking seriously about getting married. They have known each other since they were 11 and 12, and dating since there were about 17. 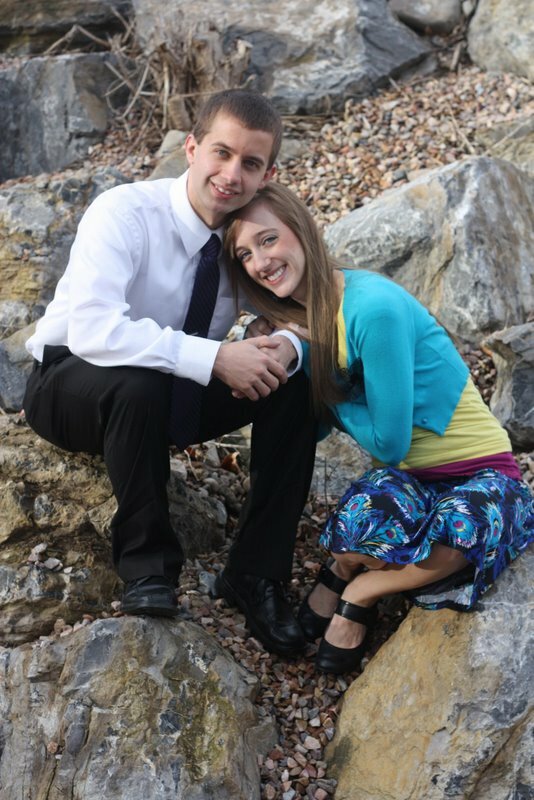 He had just gotten back from serving a two year mission in Chili (August 2010), and they picked the romance up where they had left it back in August of 2008. Since we were going to be doing a budget/DIY wedding, the first idea for a wedding dress was to just wear mine. Bill and I got married 4 May of 1983, so the styles have changed A LOT! At the time, my dress was very pretty. I wanted something simple and not "poofy." Ashley pretty much wanted the same, but with lots of lace. Mine had lots of lace. We weren't really sure mine would even fit, as it was a size 5 taken in. Ashley is a size 2 (in today's wedding dresses). It fit her just right. Boy, did that ever depress me. I couldn't even get my little toe in it today. My body has really gone to pot. But anyway, let's just get over that for now. When Ashley put it on, I could tell, even though it had all the lace, was not poofy, and pretty simple, it was just not her. I was fine with that. I am really glad that she gave it a chance, but I want her to be happy with what she wears. A bride needs to feel beautiful, and I think she just felt cute. I understand fully, as I had the same problem when I went out to find my perfect dress. Since I was so small, and young looking (even though I was 23) everyone wanted to put me in something "cute." I finally told one lady, "for once in my life I wanted to look like my age!" None of those Southern Bell hoop skirts for me! So now that we knew this was not the dress for Ashley, we had to figure out what was the dress for her. It had to have a lot of lace, and some sort of sleeve so that she could wear it to the temple. It also had to be within budget. The bottom price, including alterations, etc needed to be about $300-500. GOOD LUCK with that one, right? Well, we went to the three bridal places here in Monroe, and wound up visiting one of them three times. She thought maybe she wanted a short dress, but she tried on all types. There were only two short dresses in the store, and she really liked one of them, but we weren't too sure if the men would, especially her man. So we took pictures of the dresses she tried on, and showed them to her three brothers and dad. We were right, they did not like the dress. At least not as a wedding dress. It was more like a business dress, rather than a wedding dress. So then we went back to the bridal shop, and decided to re-try on the other short dress. But, when we got there, it was no where to be found. It needed no alterations, it fit perfectly, but it was not on the size two rack where it was suppose to be. My mom, Ashley, the ladies in the shop and I looked through all the sizes thinking maybe it was misplaced. As I got to the size 6 area, I found a dress that I thought she would like. I showed to her, and she kinda nixed it, but I made her try it on. As she was in the fitting room putting the dress on, someone found the dress we had been looking for, but when Ashley came out of the fitting room, she was beaming. It was THE dress. Only problem was it was huge on her, as she needed a size 2. So the store manger got online to check if they could get it in a 2, but had no luck. They were discontinuing this dress, and the only two dresses anywhere to be found were there in that shop and they were a size 6 and 8. The alterations lady said, no problem, we can size it down. So, now Ashley had her dream wedding dress, and because it was discontinued, it was on sale. Funny thing about this dress, is that no one in the store had ever seen this dress before. So now that she had her dress, we went ahead and did a little more shopping. She wanted yellow shoes, and found a pair of shoes she loved that could be dyed the yellow she wanted. She found a pretty tiara that was also marked down. She got her dress, shoes, jacket, the undergarments, and tiara all within budget! During the Christmas break, my daughter and I started talking wedding. She was not officially engaged, but her and her boyfriend were talking dates, etc. So, because I would not see Ashley until just a few days before the wedding, we started a little bit of preparation. Not only did she pick her dream wedding dress out, but she also picked her flowers too. Not too far from where we live is one of my favorite places to go for home decor. The place is huge--two ginormous buildings. Half of the front building is made up of all kinds of silk flowers. Ashley knew she wanted her colors bright yellow and turquoise but not sure of the type of flowers. At first we thought maybe daisies, but when we saw these yellow and turquoise roses, she knew those were THE flowers! Aren't they some of the most beautiful colors!? I went ahead and bought a whole slew of these flowers, knowing that closer to time we would need them, they may not be there. I am so glad I went ahead and bought them, because the other day when I went in to the store for my wreath supplies, the yellow roses were gone. I wasn't sure how I wanted to display the flowers, but as I went up and down the isle in the home decor portion of the store, I came upon these iron bowls. I fell in love immediately! Especially when I saw the price...only $6 each! There were only seven of them, so a nabbed them up, because I knew they probably would not be there the next time I came in. During the holidays, Ashley and I went to our local craft store to try to get some ideas as to what to do with all these flowers. You see, I am not very good at arranging flowers. As we were strolling down the floral area, we came upon these cool silk butterflies, and they were on sale! Aren't they perfect? They only had seven of the blue ones, so I got seven in each color. Again, though, I had no idea as to what I was going to do with them. So now, I had all these flowers and no ideas. I got on the internet, and learned how to do a bridal bouquet, and boutonnieres. I was able to make one boutonniere and Ashely's bouquet, and one throw away bouquet. I only need to make one more throw away bouquet, and several boutonniere. The weather has been absolutely gorgeous! Yes, the last week of February, I noticed the trees blooming. Everyone around here has spring fever. Since the weather has been so nice, I wanted to make a wreath for my door. One of my walking buddies and I went to the store and picked up the stuff to make some pretty wreaths. It was really hard to pick the colors. I wanted some nice spring colors, but something that would last me the summer. Most of the wreaths I see around here lately, are very Eastery. There is nothing wrong with that, they look very nice, but in just a short few weeks, I would be wanting something summery on my door. So, I compromised and got a lemon-lime colored large mesh with silvery-white small mesh. To put a little spring time feeling into it, I decided to get some colored Shasta Daisies. I've always been told to use odd numbers in decorating, so I got five different colors. This is how they told us to put it together. It was really quite simple. Start in the middle and go all the way around, then down to the bottom and all the way around. Basically you just bunch the mesh up and twist it into the wire branches. I chose an off white so it would not stand out so much. Then I added the silvery white small mesh. And here is the finished product on my door. I love the bright flowers. It really adds that touch of spring! So, yesterday, we had our third jewelry class at our local library. On January 20, Judy and I had an introduction to jewelry class. We explained about all the stuff you need in order to get started making your own jewelry. It was a very informative class, and everyone loved it. They wanted us to come back and do a hands on jewelry class. The first week in February, we did just that. We taught them to make earrings and a memory wire bracelet. Again, they wanted us to come back, and so yesterday we did. They made earrings and a bracelet or anklet. Each participant designed and put together their own pieces, so even though everyone was using the same beads (pink glass pearls, silver beads, and clear pink ebeads), they all came up with beautiful pieces that are their very own works of art.